Undercounter refrigerators have changed over the years. You can buy a refrigerator, a wine cooler, freezer, or a combination set including an icemaker. Then you can buy them with a glass door or with drawers. Many options exist in the refrigerator industry to fit your lifestyle. 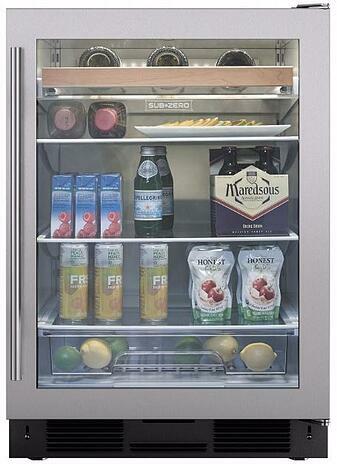 The most popular style is a beverage center because it allows you storage for wine and refrigerated items. The glass door is a nice showcase in any kitchen or bar. So we will look at the 4 best products to consider. But first, let us answer why they are way more expensive than a freestanding unit. Undercounter refrigeration is manufactured with all steel cabinets and has steady, reliable refrigeration. Specifically, the condenser is located below the unit, so it can be built in an island, bar or just about any kitchen installation. Freestanding is a dorm refrigerator. It's all plastic with the condenser on the back so it cannot be placed next to a cabinet or built-in. Their temperature is also less consistent than a true undercounter refrigerator. The racks are typically plastic as well. One quick tip: Beverage coolers can usually accommodate wine. 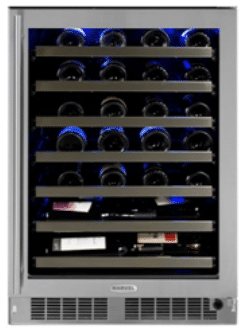 However, you should not store wine long-term in any other product than a wine cooler. That said, let's look at the 4 best. True is the best undercounter refrigerator sold in the US. It is so well made that every True is UL listed for outdoor use. True Manufacturing, is recognized as a leading manufacturer of commercial refrigerators and freezers in the world of foodservice and soft drink industries. True is manufactured in St Louis, Missouri. Sub-Zero is known as the best refrigeration company. They now manufacture their own undercounter units. 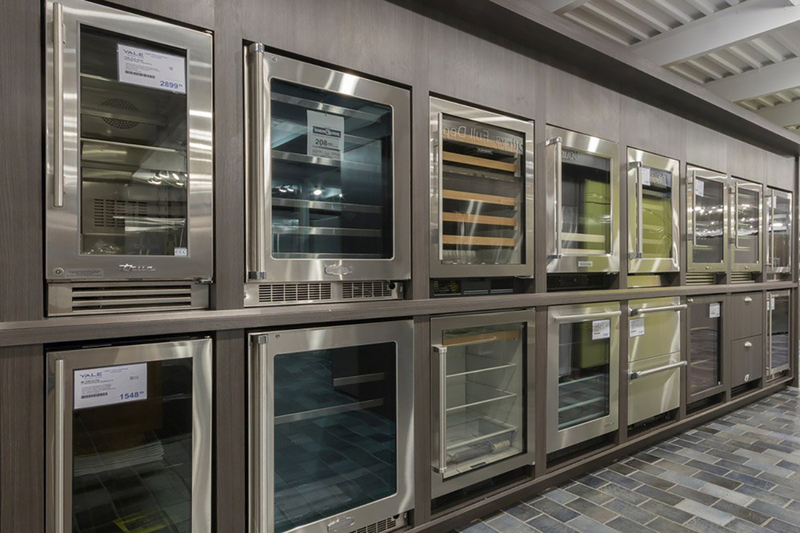 Sub-Zero appliances are manufactured in Madison, Wisconsin since 1945. Sub-Zero is a third generation family-owned company. Our Yale Exclusive beverage centers are manufactured in Greenville, MI. The original Jenn-Air Products Company was founded by Louis J. Jenn in Indianapolis, Indiana in 1947. Whirlpool Corporation acquired them in 2003. Jenn-Air is becoming a premium brand again, with quality products and aggressive promotions. All four of these units offer substantial capacity, elegant appearance, and consistent temperature performance. True uses a balanced, forced-air refrigeration system enabling the product to even its temperature using a commercial fan. You can set the temperature as low as 33 degrees, keeping your drinks icy cold. Meanwhile, Sub-Zero holds the legacy of reliability especially since their refrigerators are tested to last 20 years. The Yale Exclusive has a stainless front and toe kick making it a stylish unit for any part of the home. The cantilevered fully adjustable shelving system make it incredibly flexible for loading. 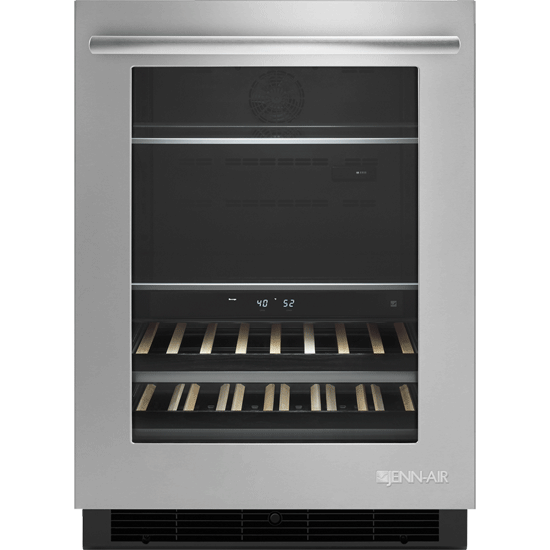 Lastly, Jenn-Air has two distinct zones, giving the wine connoisseur a little more control of what temperature they want to store their wines while still keeping a cold area for water or beverages. True is probably the best option but has a price tag of $1,000 or more. That is more than a good Sub-Zero unit. So, look at the Yale Exclusive to save a few dollars. You will like the flexible storage, theater lighting, and the ability to reach cold temperatures quickly. 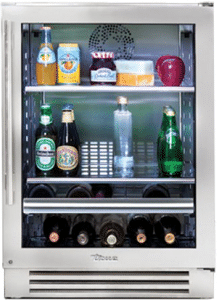 Need more information on undercounter refrigerators and icemakers? Read the Yale Undercounter Refrigerator Buyers Guide with specs, features, and updates to all the major refrigerators. Over 220,000 people have read a Yale Guide.  Editor's Note: This article was originally published on December 12, 2013 and has been updated for accuracy, freshness, and comprehensiveness.